Among the first generation of original Morey Boogies to hit the market, the 137 began to take the shape of the more modern boards seen today. 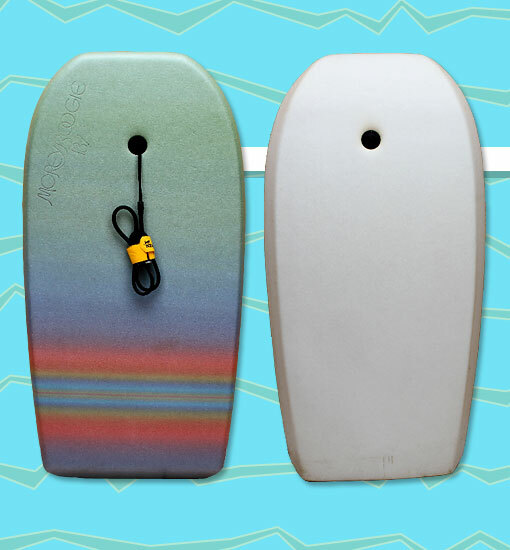 The board was constructed with a shaped foam core and a polyethylene top skin, similar to the Aussie and other beginner models that would follow. The deck featured a colorful tie-dye pattern. This particular 137 is in outstanding shape for its age. Photo: Shane Griffiths.